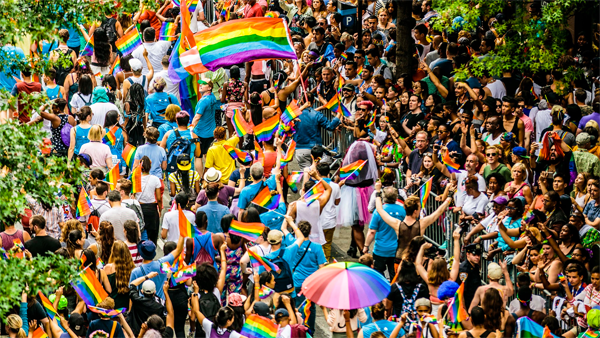 For 2017 NYC Pride, join by marching contingents, representing a vast array of nonprofits, community organizations, corporate partners, small businesses, political candidates and activists! Look fabulous while passing floats making their trek down Fifth Avenue. Dr. Douglas Steinbrech is offering his plastic and cosmetic surgery procedures designed solely for men for 2017 NYC Pride. He has been called by Forbes as “The Go-to surgeon for men”. When is Gay Pride in NYC? Gay Pride events occur throughout the month of June, culminating with the NYC Pride March on Sunday, June 25, 2017. What time is the Pride March? 2017 NYC Pride March will be at 12:00 PM – 8:30 PM EST on 06/25/17. How do you look fabulous for NYC Pride 2017? Look fabulous for 2017 NYC Pride with some of the non-surgical cosmetic procedures that will make you appear younger and rejuvenated. Dr. Douglas Steinbrech, solely specializing in male plastic surgery offers Brotox and dermal fillers as well as other surgical and non surgical procedures. Learn more about the available facial dermal fillers that will make you help you improve your appearance by getting rid of wrinkles, aging and eliminates facial lines. Schedule your appointment in NYC to discuss the available injection treatments for men with Botox, Juvederm, Volbella, Voluma, Restylane, Radiesse, Kybella and Sculptra by contacting us today. Can I watch NYC Pride 2017 on TV? 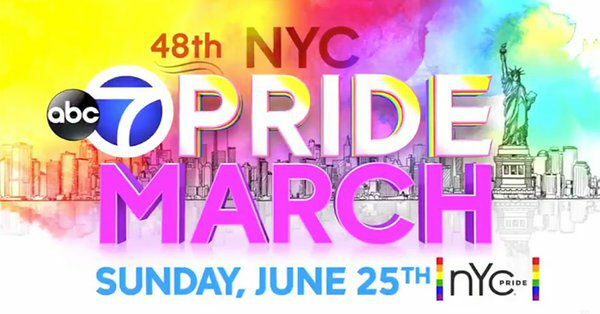 For the first time in NYC Pride history, a live broadcast of the 2017 NYC Pride March on ABC7 from 12pm – 3pm EST on June 25th. How much are tickets for NYC Pride 2017? Viewing The 2017 NYC Pride March is free and open to the public. No tickets necessary. What else is going on this year? For 2017 NYC Pride there will be announcers and awards given out throughout the parade at various locations to celebrate everything from Best Float and Best Marching Band or Music Ensemble to Best Dance Performance and Best Use of NYC Pride Theme and other awards. Schedule your no-obligation male plastic surgery and cosmetic procedures for 2017 NYC Pride and look your best. Please call (646) 480-7750 or fill out the contact form to request additional information. Fly in program available.